The WW8800M is Samsung´s latest washing machine with QuickDrive technology, enabling users to wash twice as fast, while reducing the energy costs enormously. The new Samsung washing machine offers an AddWash program, giving users the ability to add items at any time during the cycle. Moreover, the WW8800M is Samsung´s first IoT ready laundry machine, boasting an AI-powered laundry assistant called Q-rator. At the heart of the WW8800M washing machine is Samsung’s QuickDrive technology, which provides users the power to dramatically reduce the time it takes to do a load of laundry in half. On its Super Speed setting, a daily load of laundry completes in just 39 minutes, offering consumers the time-saving solution they always wanted but never had, without compromising washing performance and energy efficiency. 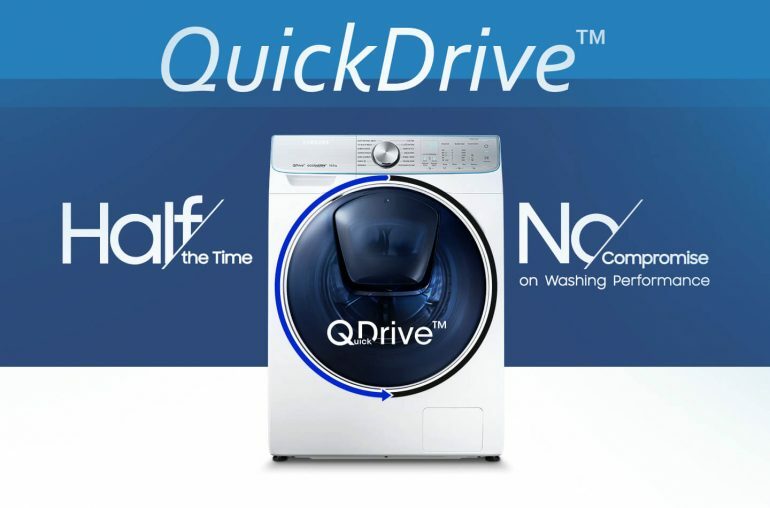 QuickDrive is the industry’s game changer, dramatically cutting the amount of time it takes for users to do laundry and giving them more time to enjoy life. 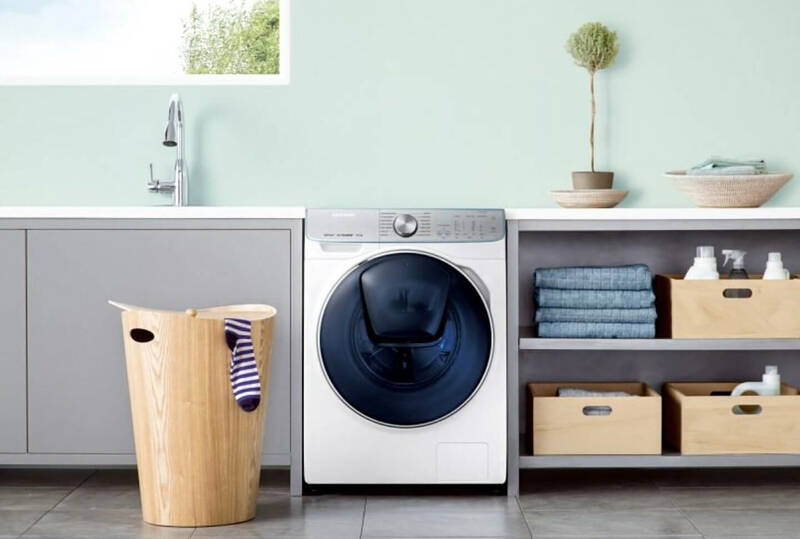 The Samsung WW8800M washing machine uses QuickDrive technology to provide fast and powerful washing performance, with a range of technologies and smart functionality that make doing laundry so much easier, said B.S. Suh, Executive Vice President of the Digital Appliances Business at Samsung Electronics. Samsung’s QuickDrive technology cuts washing time by 50% and energy use by 20% without compromising the cleaning performance. Its unique Q-Drum consists of a large main drum and a plate in the back that rotates independently. 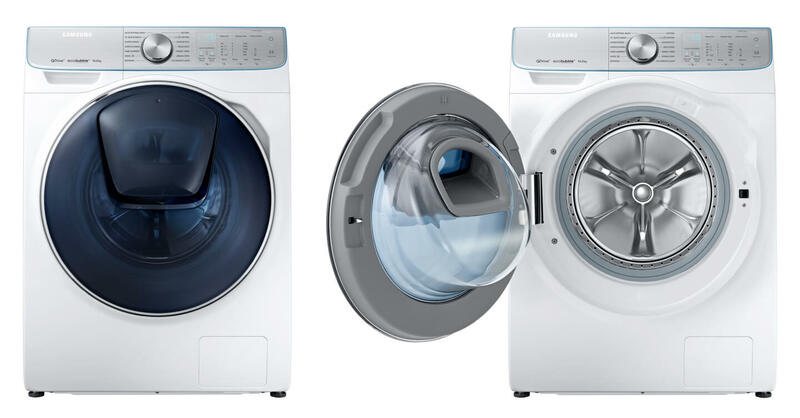 Unlike conventional washers that move clothes repeatedly up and down over the course of the cycle, the Samsung WW8800M moves clothes from top to bottom in the drum, and the plate in the back of the drum introduces a back and forth movement. The laundry machine creates a revolutionary dynamic action powered by double forces that quickly, gently and thoroughly remove dirt to deliver an intense and complete wash cycle. In addition, QuickDrive technology was independently tested by Intertek, the world’s largest testing and inspection organization. Intertek confirmed that QuickDrive technology provides the same level of cleaning performance and fabric care as existing products, while reducing washing times. The washing machine also has many of Samsung’s outstanding laundry technologies, like EcoBubble, which provides powerful washing performance by mixing air and water to generate fine detergent bubbles that penetrate fabrics faster and maximize the detergent’s effects even at low temperatures. Samsung WW8800M is designed for long-lasting performance. Equipped with Samsung’s Digital Inverter Technology, the smart laundry machine reduces noise and helps reduce energy consumption while providing exceptional durability. Additionally, the QuickDrive washing machine offers various energy-saving features, including the ability to save up to 50% more on energy than the highest A+++ energy-efficiency standard for a wash cycle. The machine also uses a Ceramic Heater+ with a new type of anti-adhesion coating, which ensures up to 55 percent less scale buildup than conventional ceramic heaters6, helping the heater maintain its performance longer with more durability. 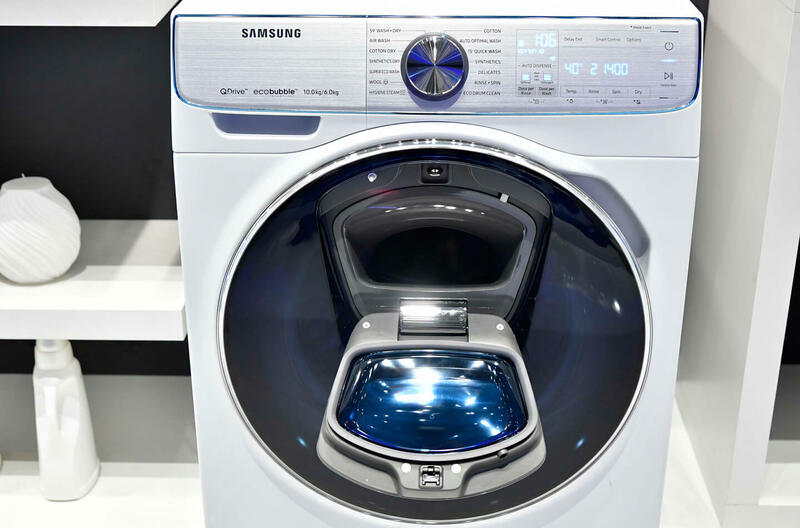 The new washing machine also comes with Samsung’s innovative AddWash, a feature that gives users the ability to add items at any time during the cycle. From a forgotten sock to a delicate item that needs to go in later in the cycle, AddWash even allows users to add detergent or fabric softener at a later time. The IoT-ready laundry machine boasts an AI-powered laundry assistant called Q-rator, which provides three key smart features that help manage laundry more conveniently. The combination of the Q-rator and AddWash creates a synergistic effect that further enhances the user convenience, simplifying the laundry process.